Canggu is a small village on the coast of Bali that has become a popular tourist destination in recent years. Today, it is in an interesting transitional period from being a quiet, farming village to becoming a famous resort town. Every year, more and more people visit this place for its beautiful beaches, ancient temples, great food, and laid back atmosphere. As Canggu continues to grow, there gradually becomes more things to see and do in this beautiful place. If you don’t come prepared, you could easily be overwhelmed by everything it has to offer. That’s why we’ve created this useful guide to help you out. 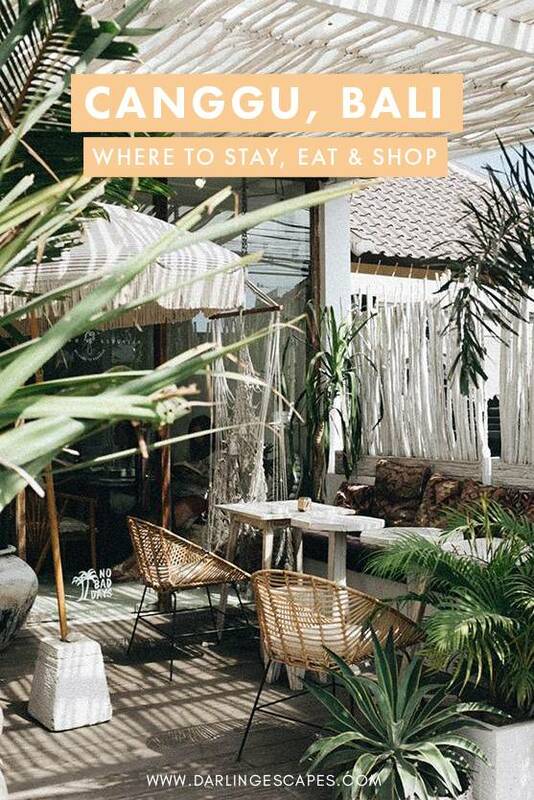 We’re going to show you where to stay, where to eat, and things to do in Canggu. If you want to know which Bali areas to combine in your Bali adventure, here’s our guide on where to stay in Bali for first-time visitors. Get to know ‘the Island of the Gods’ in all the diversity that Indonesia is known for. One of Canggu’s greatest claims to fame is its many beautiful beaches. The village is well-known for it black, sandy beaches which are especially popular among surfers. Some of the waves you’ll find on Berawa Beach and Echo Beach in particular can be fairly challenging. If you enjoy catching some waves, then Canggu is a dream come true. If you’re looking for something a little more relaxing, then go to Nelayan Beach instead. The waters here are a bit more calm, and the beach in general is mostly used by local fishermen. It’s a good spot for swimming or sunbathing. There’s also Batu Bolong Beach which is populated by a number of local, beachside restaurants called warongs. No matter where you go, a trip to the beach is one of the quintessential things to do in Canggu. 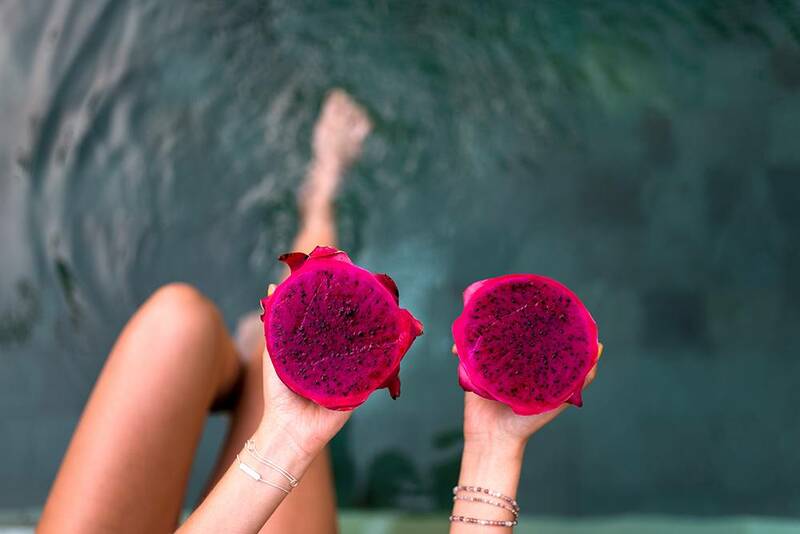 Going to the spa is one of the best things to do in Canggu. This makes it an amazing destination for those who need to relax. There are over 20 different spas in the area, all of which offer something unique. Some of them are rather modest by nature while others are more luxurious. No matter what you’re price range, you can find something that’s right for you. One of the most popular spas in Canggu is simply called Therapy. They have everything from reflexology to cream baths to cucumber body wraps. Glo Day Spa and Salon has a reputation for being one of the best places to get a massage. Or you can check out Bali Spa Day for something a little more inexpensive. These are just a few of the places you can go to relax after a long day at the beach. Tanah Lot Temple is one of the most famous attractions in Bali and is only fifteen minutes away from Canggu. Tanah Lot translates to “Land in the Sea”. 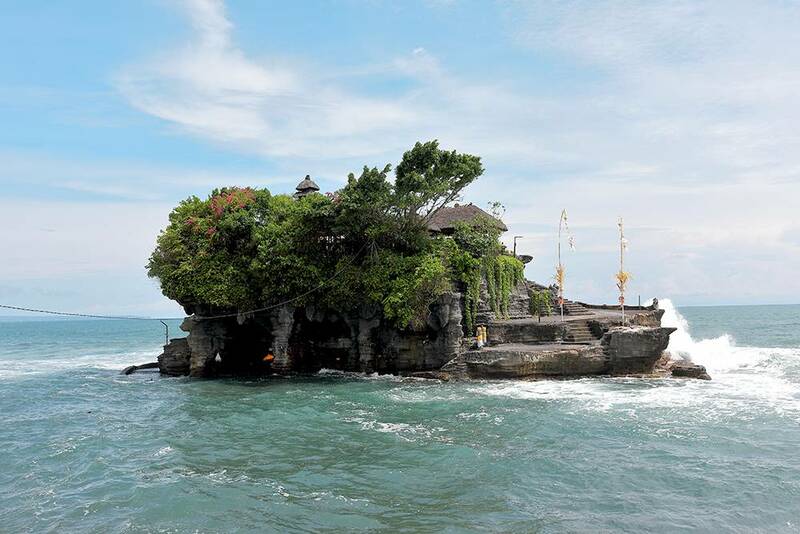 It consists of a rocky formation off the coast of Bali with a temple sitting upon it. The temple is dedicated to the sea god Baruna and is a popular pilgrimage site for many Hindus. It could be considered a pilgrimage site for photographers as well. Although the temple grounds are off limits to tourists, it is still a great place to take amazing photos. This is especially true when the sun is setting behind it. Because Tanah Lot is one of the Bali’s greatest attractions, it can get a bit crowded sometimes. It’s recommended you try to get there early in the day. If you’re wondering what to do in Canggu, why not try playing a game of golf? Canggu is almost as famous for its golf courses as it is for its beaches. The town’s natural beauty lends itself well to golfing. There are many different courses available, all of which are appropriate for different skill levels. The Bali Beach Golf Course is relatively small and is known for its private club-like atmosphere. On the other hand, New Kuta Golf is more of a links-style course. Of all the golf courses in Canggu, Nirwana Golf Club is particularly noteworthy. It was originally designed by the famous golfer Greg Norman. It’s not far from Tanah Lot Temple is widely considered one of the best golf courses in Asia. It’s an absolutely beautiful course and provides quite a challenge to experienced golfers. 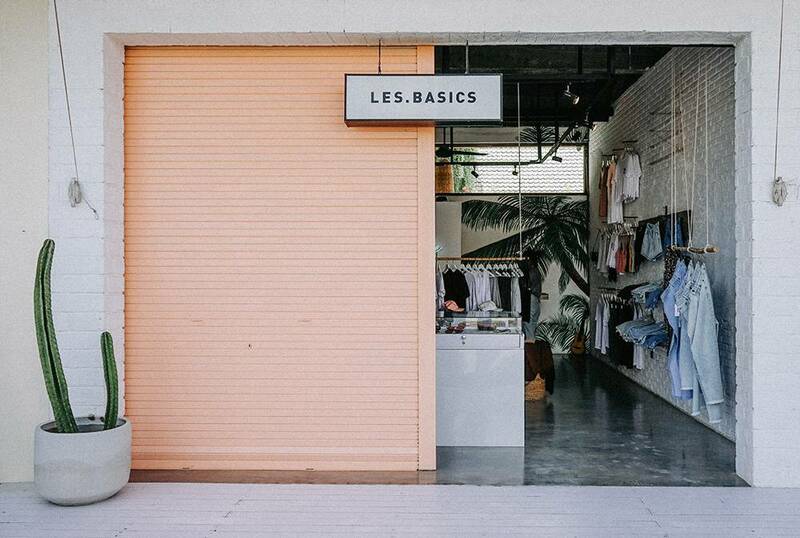 Of course, you’re going to want to get some souvenirs while you’re in Canggu. There are a few places where you can do this. One of these is the Love Anchor Market, which is considered one of the best places to shop in Bali. There’s also the Samadi Sunday Market, which you can find at the yoga studio Samadi Bali. If you want to know what to do in Canggu on Sunday, then this is the place to go. Both of these markets offer fruits, vegetables, jewelry, scarves, clothing, artwork, and more. 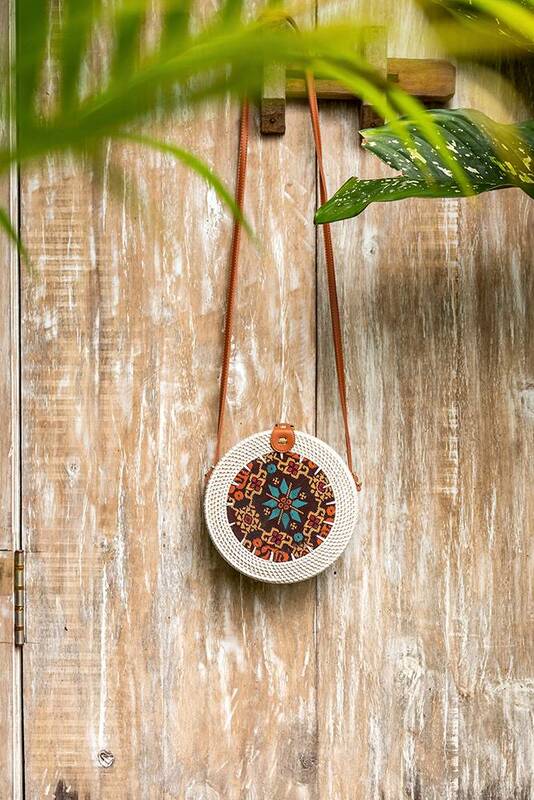 The goods in these markets are also considered to be significantly higher quality than some of the others in Bali. Expect to do some bargaining while you’re there. If you’ve never bargained before, the best way to do it is to start high, wait for the seller to make a counteroffer, then meet somewhere in the middle. Yoga in Canggu is a very popular activity. In fact, this town is known for yoga almost as much as it is for surfing. This should come as no surprise considering its overall laid back vibe. There is a wide range of places to choose from where you can practice yoga in Canggu. Each one offers different classes depending on your skill level, and no registration is required. One of the most popular places to practice yoga in Canggu is Serenity Eco Guesthouse and Yoga. This is one of the town’s cheapest yoga spots, and it also features a vegan restaurant. Another great yoga studio is The Chillhouse. It teaches many different types of yoga and provides its own mats. Other yoga studios include The Practice, Samadi Bali, and Desa Seni. Restaurants in Canggu have become a big deal in recent years. As such, they deserve special mention. One of the town’s most popular restaurants is Dandelion. This establishment is in the shape of a traditional Balinese home known as a Joglo. It’s known for its laid back atmosphere and traditional Indonesian cuisine. This restaurant has everything from spring rolls to sate lilit to steamed fish dumplings. It’s a great place to start if you’ve never tried Indonesian food before. On some nights, you’ll even find live entertainment in the form of Balinese dancing. Betelnut Cafe is one of the most popular restaurants in Canggu among surfers. It’s traditionally been a favorite spot for people to eat breakfast before or after hitting the waves. In recent years, it’s gained popularity among the non-surfing crowd as well. Along with being healthy and delicious, Betelnut Cafe’s menu is incredibly varied. In addition to serving Balinese cuisine, you can also find Mexican food and hamburgers. This makes it an excellent restaurant choice no matter what you’re in the mood for. Monsieur Spoon is a cozy little cafe that can be found on Batu Bolong Street. 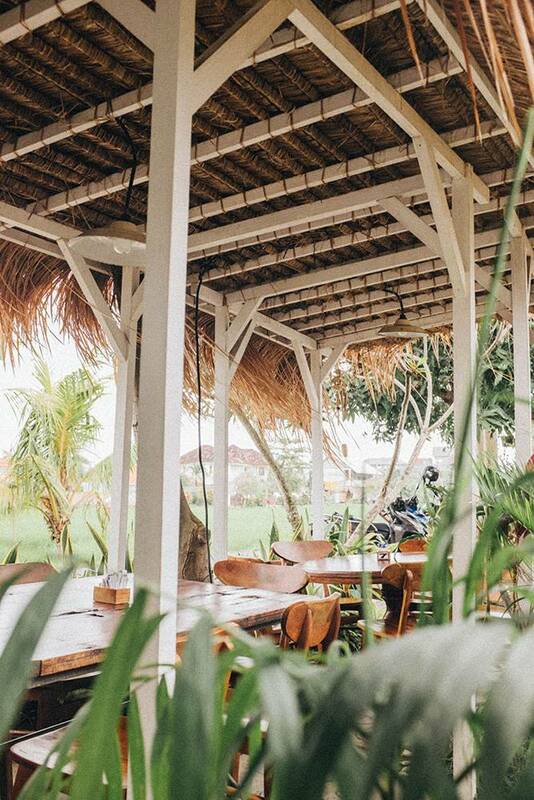 It’s a great spot to grab a bite to eat while exploring one of Canggu’s busiest areas. As you can guess from the name, it specializes in French cuisine. It’s the place to go if you’re in the mood for some excellent breads or pastries. It’s all-butter croissant in particular is a specialty. This cafe is also known for its delicious desserts. It has an amazing selection of cakes, tarts, and meringues. This makes Monsieur Spoon the place to go if you want to satisfy your sweet tooth. Echo Beach House is a restaurant overlooking the famous Echo Beach. You can find it right next to the Batu Mejan Temple. As you might expect, it’s extremely popular among surfers. It’s a great place to refuel after a long day of riding the waves. Or you can simply grab a bite to eat while watching the ocean. This restaurant is particularly popular for its seafood buffet. You can find scallops, prawn, calamari, clams, and many more delicious seafood dishes. There are also many non-seafood options such as ribs and Australian steaks. There is also a great selection of drinks at this restaurant. 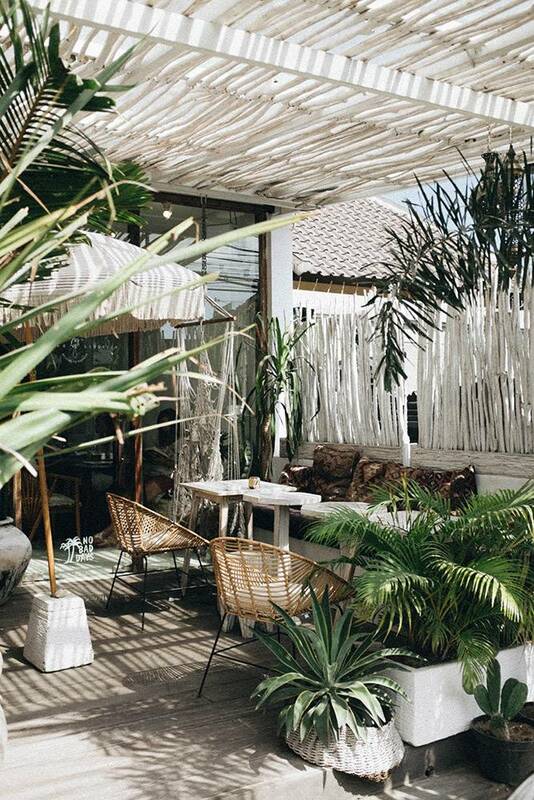 Overall, Bali is known for stellar dining experiences if you want to unwind and lounge the night away, and Canggu’s best cafes are no exception. There are a number of excellent accommodation options when it comes to where to stay in Canggu. These accommodations typically fall into two different categories. These are hotels and villas. Hotels in Canggu are typically a bit cheaper than villas. On the other hand, villas in Canggu are more luxurious and provide more space for you and your family. Let’s take a closer look at these options. Hotel Tugu Bali has a very charming old-world feel to it. This can be seen in everything from the artwork in its lobby to the photographs hanging in its rooms. This is one of the best hotels in Canggu for those who really want to experience Indonesian culture. Furthermore, Hotel Tugu Bali is conveniently located near many of Canggu’s major attractions, including the Jatiluwih rice fields. They also have an excellent spa and a fine dining restaurant. This is one of the hotels in Canggu that’s closest to the beach. Although this hotel is a bit more modest than some of the others, you’re only a five minute walk from Echo Beach. This makes it the perfect place to stay for those who can’t wait to go surfing. In addition to this, Frii Hotel also features a pool and free Wifi. Each room above the ground floor also has balconies which provide an amazing view of the sea. It also has the Seaduction Restaurant, which offers a number Indonesian and American dishes. This is another excellent place for surfers to stay while they’re in Canggu. 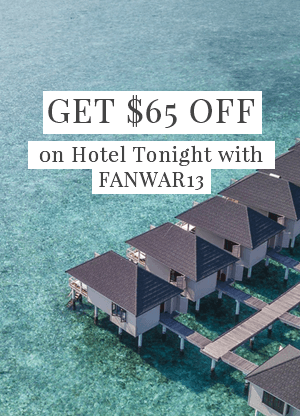 This hotel is located right next to Berawa Beach. It has an amazing surfer vibe in general with bamboo architecture and a commons area full of surfboards. Another great feature of this hotel is its car and motorbike rentals. As a result, you won’t have to worry about transportation while you stay here. You also have an infinity pool, satellite TV, and balconies overlooking the rice fields. 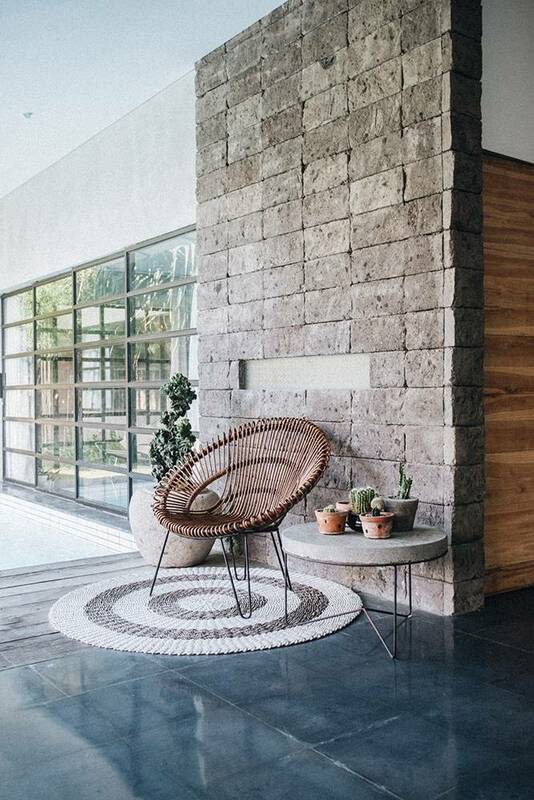 Villa Berawa is one of the most convenient villas in Canggu. Along with being only a few minutes away from Berawa Beach and Echo Beach, it’s also only 20 minutes aways from Tanah Lot. This is in addition to the numerous shops and restaurants in the area. Villa Berawa is also an absolutely gorgeous place to stay. Many of its villas are designed within traditional Joglos. It also has a very large pool and a restaurant serving Indonesian cuisine. Villa Teresa Bali is an incredibly beautiful villa with several accommodation options. This includes two-bedroom villas, three-bedroom villas, and five-bedroom villas. Each of these villas comes with its own swimming pool. This villa is also located in close proximity to Echo Beach and Berawa Beach. Its thatch-roofed pavilions and beautifully landscaped gardens give it a quiet, tranquil atmosphere. Its staff is also quite friendly and can assist you with any questions you might have. When it comes to where to stay in Canggu, Ametis Villa is the place to go if you really want to experience Bali’s culture. The area is gorgeously landscaped and features incredible views of the surround rice fields. It has 14 private villas to choose from in all, many of which come with their own private pools. Another unique feature of this villa is that each guest is assigned a private butler during their stay. It’s a villa that strikes the perfect balance between luxury and tradition. These are some of the adventures that await you in the magnificent community of Canggu, Bali. It’s a much quieter, laid back destination than the cities of Kuta and Seminyak, and it truly allows you to enjoy the culture of Bali. 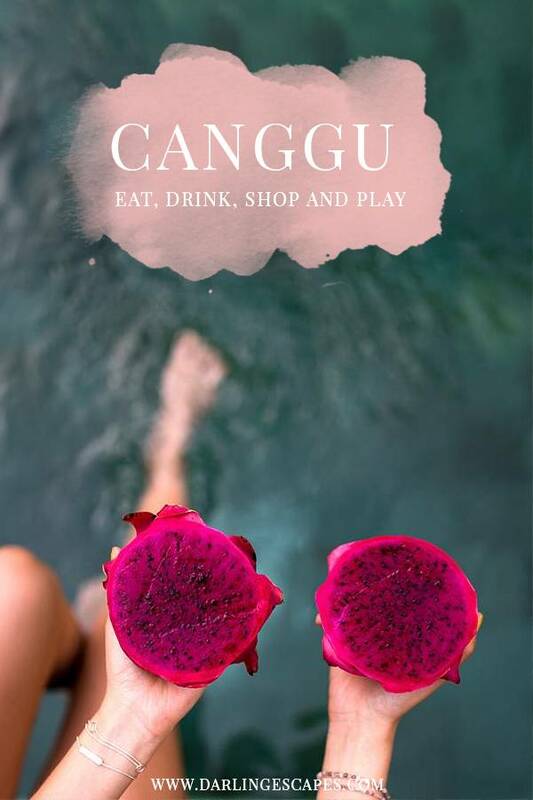 Now you’re ready and prepares on all things to do in Canggu. Start booking your trip today, and you’ll soon be making new memories in this incredible place. 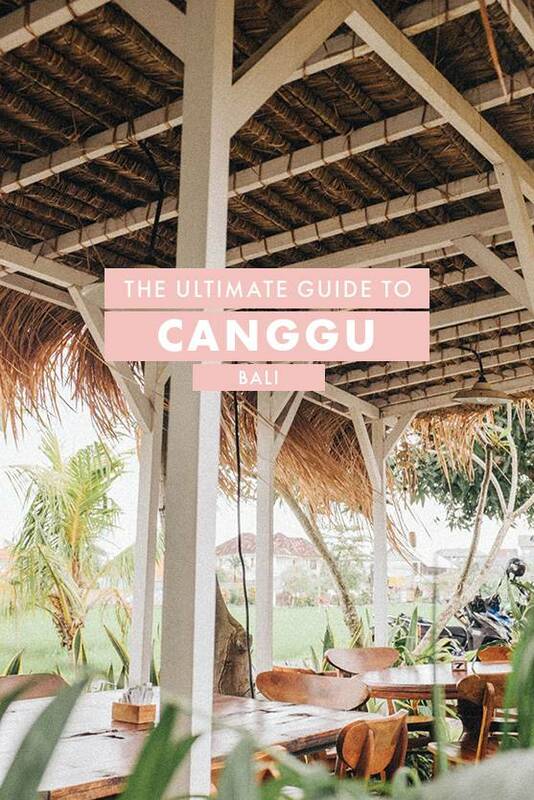 A complete guide to Canggu, Bali, so you can spend more time in the sun, and less preparing! We’ll show you where to stay, where to eat, and what to do.